This month’s pinup poll was for a type of cheesecake (recipe for cheesecake in comic form, a cheesecake pinup, a photo of an actual cheesecake, and beefcake) and the cheesecake pinup won. I did not put nearly enough into this for it to be proper cheesecake, but I’m still proud of it. If I can ever draw the engine block to my satisfaction, I’ll ink it and make it proper cake. 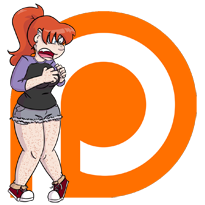 Next month’s poll is going to a “mistletoe or mistlefoe” roster, and if you want in on that, I run that on my patreon. $5 get you into the pinup tier but also gets you a bunch of timecapsule art (images and panels and pages and gags from the first version of MagNorth) and access to early comics and access to the production blog where you can see designs for new characters and clothing and building blueprints and sometimes how much I changed things.